Firm up your face and neck! Get rid of that slackened skin we all know as chicken skin! Firm up your face and neck! 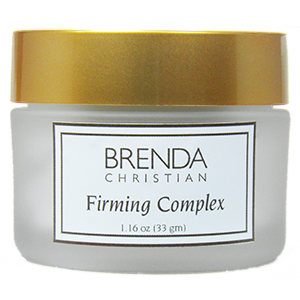 Firming Complex strengthens and firms the skin structurally, working with synergistically perfected active ingredients to bind moisture, increase elasticity, maintain high blood circulation, destroy free radicals, and create healthy, strong new cell reproduction. This results in the reduction of fine lines and wrinkles, an increase in cell density and the thickness of the skin, and an increase in the skin’s firmness and a serious decrease in sagging of skin. 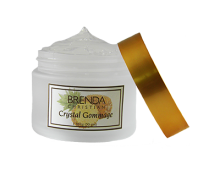 “I’m 60 years old and I got this sample of Firming Complex with an order I had made a week before. One of my lids has the tendency to droop more than the other. I used the Firming Complex all over my face but I also decided to try it on my upper lid. The next morning I noticed a total difference in my eyelid. I used it religiously for a very days until the sample was all gone and notice that my lid was actually lifting. I am completely sold on this product, I ordered two. It is a miracle worker. The Firming Complex acted like a real peeling on me. The stains I had on the face had disappeared and my skin was feeling really smooth. I had never found a cream that could do that for me. I loved it! Combination, Oily or Dry Skin experiencing loss of firmness and elasticity – commonly referred to as Chicken Skin (when skin is depressed with a finger tip, it does not spring back readily; or when skin is pulled lightly with fingers it doesn’t spring back readily). Neck and chin tissues after the age of 25. Apply to clean skin each morning over Daily C Serum or Glycolic Serum. Wear during the day under Sun Protection Intense or Palette or makeup for firming hydration. Excellent for an extra firming benefit to hands. Firming acid extracted from Gotu Kola. As we age, the collagen in the skin decreases, leading to a potential decrease in firmness. Centella Asiatica has the ability to stimulate dermal fibroblasts and increase collagen production. Increases the skin’s hydration level. As we age, the water-binding capacity of the skin decreases. This may lead to the appearance of lines and wrinkles that are otherwise concealed by healthy, “plump” skin. Polyphenolics from Echinacea Augustafolia can inhibit Hyaluronidase, the enzyme responsible for the degradation of Hyaluronic Acid, which retains high levels of water in the epidermis. Encourages healthy elastin production. Elastin is the ingredient in skin that allows it to stretch, giving it elasticity. As we age elastin deteriorates, which may lead to sagging of the skin. Triterpenoids from Rosemary Officinalis have the ability to inhibit enzymes that destroy elastin for long-term skin firming benefits. Increases the skin’s suppleness by 45% and maintains its effect for a minimum of eight hours. Inhibits bacteria growth and actually destroys staphylococcus and pseudomonas within one hour and fifteen minutes. Highly recommended for sensitive skin to soften and smooth. Jojoba Seed Oil controls flaking and dryness of the skin, as well as transpiration water loss (water loss through skin). Shea Butter comes from the nut of the Shea tree, which grows in West Africa. The tree can grow up to six feet high and its trunk can reach 39 inches diameter. This exceptionally rich nut naturally contains fatty acids, phytosterol and unsaponifiables, which stimulate the skin’s own renewal process. Shea Butter has natural antioxidant properties due to its content in Tocopherols. Shea Butter also encourages cell regeneration and capillary circulation. This aids in the healing of skin blemishes and soothing of any skin irritation. It has both intense moisturizing benefits and significant restructuring effects on the epidermis and is especially effective to protect the skin during pregnancy against stretch marks. Like all vegetable fats, Shea Butter has soothing, moisturizing and protecting effects due to the presence of a sizable quantity of unsaponifiable matters and vitamins. Shea Butter also contains Cinnamic Acid which gives a natural protection against UV rays. This expensive oil has a sedative, relaxing effect on the skin. Reduces stress on the skin, soothing, and cooling. 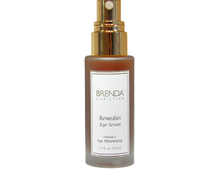 Stimulates blood flow in the epidermis, diminishing wrinkles while firming and oxygenating the skin. Substance from which the groundwork of the dermis is comprised. Vitamin E Anti-oxidant; Tocopherols are the most abundant and efficient scavengers of hydro peroxyl radicals in biological membranes. Increases circulation for firming benefits. Soothing to skin; Helps to even skin tone. Aromatherapy, calming benefit. Anti-allergenic, anti-inflammatory, antiseptic, balancing, energizing, soothing, healing, toning, and stimulating. This miracle oil is credited with alleviating skin stress. Stimulates the lymphatic system to cleanse and firm the skin’s surface. Aromatherapy benefits, natural skin detoxifier. Water, Carthamus Tinctorius (Safflower) Seed Oil, Ethoxydiglycol, Romarinus Officinalis (Rosemary) Leaf Extract, Centella Asiatica Extract, Echinacea Augustfolia Extract, Simmondsia Chinensis (Jojoba) Seed Oil, Olea Europaea (Olive) Fruit Oil, Phenyl Trimethicone, Glycerin, Sodium Hyaluronate, Butyrospermum Parkii (Shea Butter) Fruit, Aloe Barbadensis Leaf Juice, Algae Extract, Cetyl Alcohol, Cetearyl Acohol, Polysorbate 60, Cyclomethicone, Polysilicone 11, Beeswax, Butylene Glycol, Dimethicone, Melissa Officinalis (Balm Mint) Extract, Avena Sativa (Oat) Meal Extract, Panax Ginseng Root Extract, DEA-Cetyl Phosphate, Zostera Marina Pectin, Hydrolyzed Glycosaminoglycans, Tocopherol, Hedera Helix (Ivy) Extract, Glycyrrhiza Glabra (Licorice) Extract, Lavandula Angustifolia (Lavender) Extract, Vitis Vinifera (Grape) Seed Extract, Lecithin, Carbomer, Geranium Maculatum Oil, Lavandula Angustifolia (Lavender) Oil, Citrus Medica Limonum (Lemon) Oil, Triethanolamine, Imidazolidinyl Urea, Methlylparaben, Propylparaben.